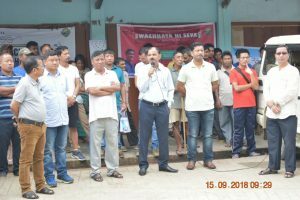 Changlang, September 15: Local MLA Shri Tesam Pongte launched today along with the rest of the country in presence of Deputy Commissioner Shri R.K Sharma with huge participation from government officials, public leaders, students, traders and public. The campaign for a Swachh Bharat or clean India, which began four years ago, was made into a nation-wide movement today. Over the next two weeks leading to October 2, 2018 – Gandhi Jayanti, the Swachhata Hi Seva movement aims to ensure a high standard of cleanliness across the country, which was Mahatma Gandhi’s dream for the nation. October 2, 2018 will mark the beginning of the 150th year of Mahatma Gandhi’s birth, and the government plans to realize his dream of a clean India. 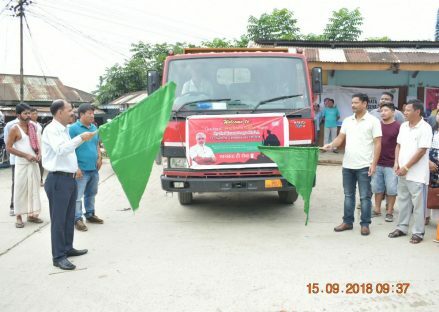 The campaign was also launched in other part parts of the district with huge participation of people in Jairampur, Bordumsa, Miao, Diyun, Khimiyang and Kharsang. After the launch of the campaign a mass social service was conducted all over the district including the villages. 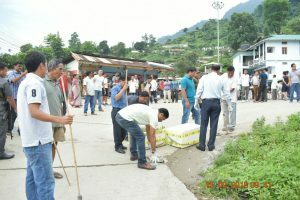 The people of the district responded with great enthusiasm towards the clarion call of the Prime Minister Narendra Modi’s the Swachhata Hi Seva movement.